Soft plastic, with fragrance.Different colors and fragrance available. 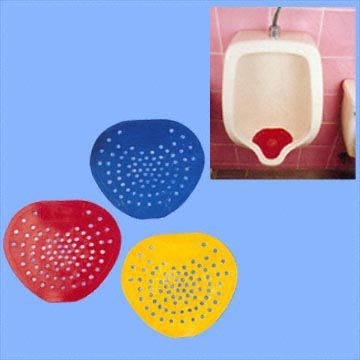 Urinal Screen replacement service eliminates drain clogging caused by chewing gum, cigarettes, and paper products. 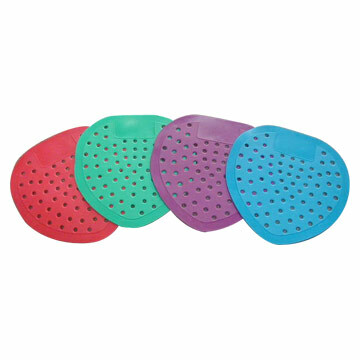 Replace the urinal screens in your facility every 20-28 days with a new screen that is impregnated with a deodorant helping to keep the bathrooms fresh and clean smelling. Specifications︰ 1) Red color-Strawberry scent.